Well, I’m at it again. . .filling my fridge with more strawberries than we can eat fresh! That means I’ve had to think of ways to use them other than just snacking on them here and there. Since it’s been somewhat cool in the mornings lately, I figured I should take advantage of that and make a quick bread. It didn’t take long before there was a loaf of strawberry dark chocolate graham bread cooling on my counter! This bread is a variation of my dark chocolate chip graham banana bread. Ever since I made that bread, I’ve been sticking graham cracker crumbs into all kinds of baked goods, including these recent strawberry graham toaster pastries. So, when I started thinking of a quick bread that I could bake the strawberries into, I knew I wanted to add those graham cracker crumbs! The graham flavor blends perfectly with fresh strawberries and dark chocolate. The yogurt and buttermilk keep the bread moist and tender. Take a couple of slices with you to work for a quick breakfast or enjoy a slice with the kids as an afternoon snack. Definitely a great way to use those strawberries. Now I may have to go get more so I can make another loaf. . .
Preheat oven to 350. Lightly spray a 9x5 inch loaf pan with non-stick cooking spray. In a large bowl, whisk together flour, graham cracker crumbs, baking powder, cinnamon, baking soda, salt, and brown sugar. In a medium bowl, whisk together honey, yogurt, buttermilk, olive oil, eggs, and vanilla extract. Add wet ingredients to dry ingredients and stir until just combined. Gently stir in strawberries and chocolate chips. Pour batter into prepared loaf pan. Bake for 40-50 minutes, or until toothpick inserted in the center comes out clean. I covered the bread with aluminum foil at around 25 minutes so the top wouldn't get too dark. While bread is cooling, prepare glaze by whisking together confectioner's sugar and half & half until smooth. Drizzle glaze over cooled bread. Allow to harden, slice and serve. I have NEVER had bread made from graham – LOVE it! And with strawberries and dark chocolate? YUMMO RAMA! Pinned! When you have extra strawberries, chocolate is an absolute necessity as well. This bread looks amazing!!! 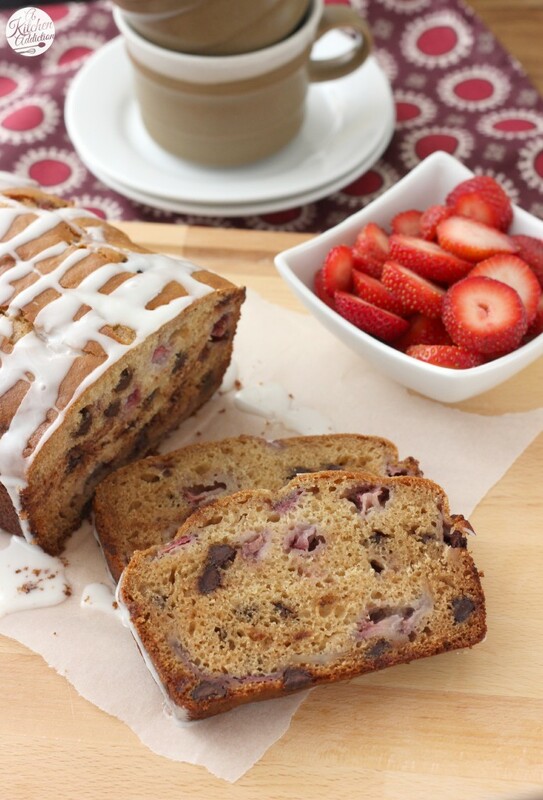 What an amazing combo of flavors you’ve got going on here in this gorgeous bread! I could probably eat that entire loaf in one sitting. 😉 Pinned! I’ve baked with graham before and I love the flavor! 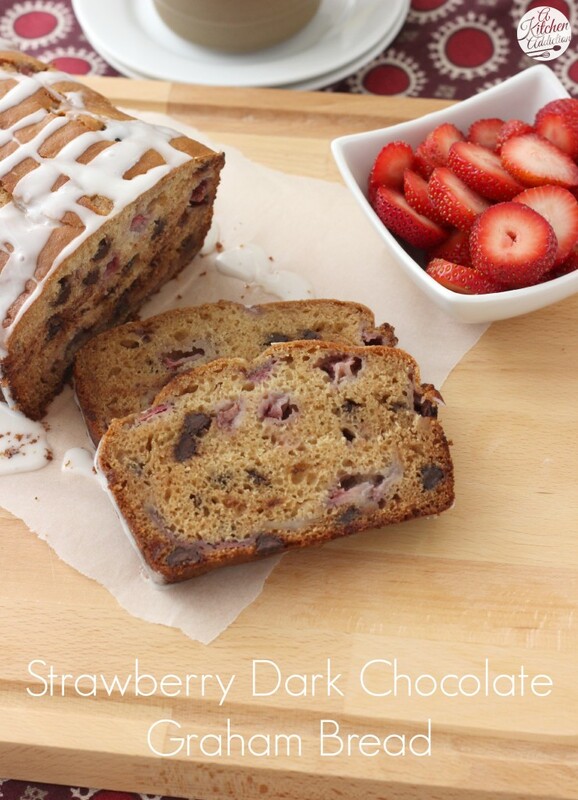 The strawberries and dark chocolate sound so great in here — what a gorgeous, tasty looking bread! I need this right now fro breakfast! What a great combo of flavors! Looks delicious! 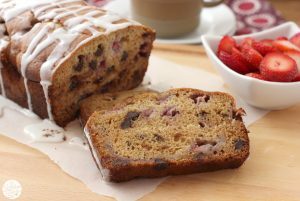 I love strawberry bread! and with chocolate?yes please! Having too many strawberries sounds like just about the best problem to have! So happy they’re back in season. What a great idea to add graham cracker crumbs to this bread! I bet it gives it great flavor! Graham cracker with strawberry and chocolate sounds divine! I’ll take a slice or two! 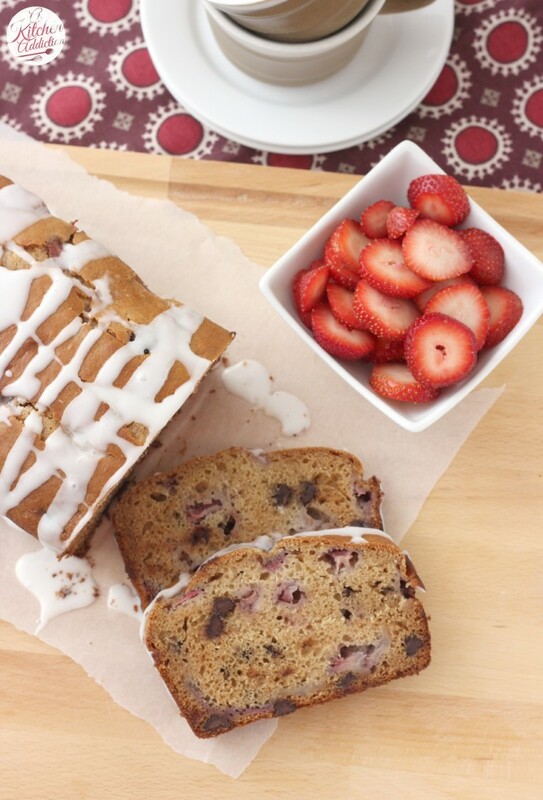 Too many strawberries is a great problem to have especially when you turn them into something delicious! I’m loving your combination of flavors. Straberries and dark chocolate, oh yes, please! I dont recall ever trying graham bread but I must change that immediately. I Love all these flavors. Chocolate with strawberries is my favorite! 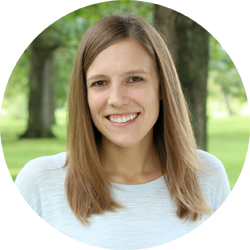 I am enjoying your crushed graham cracker recipes! The delicious wholesome flavor of graham would be wonderful with chocolate and strawberry. Pinning this for a special breakfast (Father’s Day?) soon! I love graham cracker flavour, and one day when we don’t manage to eat all our strawberries fresh I definitely need to try this bread. I’ve never had bread made from graham, but I must try it. Looks so delicious. LOVE it! I have never seen anything quite like this. The graham crackers are genius! I have never tried anything like this. The graham crackers are such a great idea.